A picture has gone viral on social media that shows the last rites of a man in Nigeria being performed by burying him inside a luxurious BMW car. A picture has gone viral on social media that shows the last rites of a man in Nigeria being performed by burying him inside a luxurious BMW car. According to reports, a rich Nigerian named Azubuike took the step as he had promised his father to buy him a car, but the latter passed away before he could fulfil the promise. 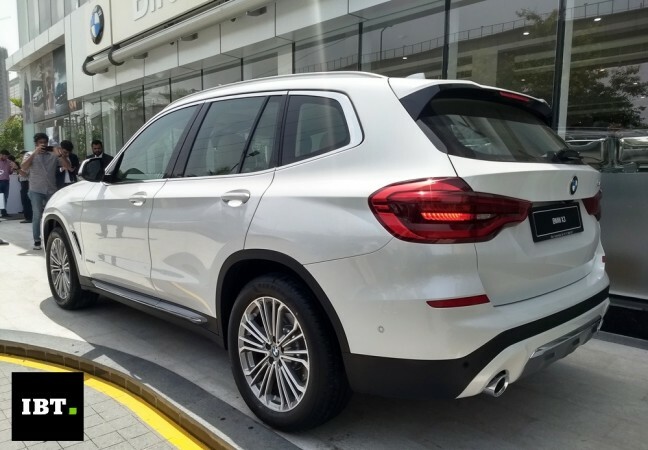 In order to compensate for the failed promise, the son reportedly bought a new BMW car just to bury his father inside it, instead using a coffin. This has been receiving diverse reactions on social media. While some called it a sheer waste of resource and an act of disrespect to the deceases, some others claimed it to be a scene from a film, and some just rubbished it as a fake post. "This is painfully sad. You bury your father in a brand new BMW? Honour your father & mother while they are still alive, then bury them in decent coffins. Use left over money to assist the poor,"one person said on twitter. "Lol that's a movie. Dey are still shooting the film now in asaba. The actor guy on d pics is called utali, the girl crying while holding the car is Richeal Ogbonnaya. Bloggers are now the real witches," one wrote on Facebook. One person, who claimed to be belonging from the same locality, right away dumbed it as a fake story. "My sister was married in ihiala and her children are all grown ups so I have asked them about this ridiculous story and they said that there's nothing like that bcos the whole local government would have known so pls stop this fake news bcos is really not good for our image," one Facebook user posted.